A new edition of the classic guide to using the spiritual and psychological insights of renowned mystic and psychic Edgar Cayce to find your authentic mission in life. The medical clairvoyant Edgar Cayce (1877-1945) left the world a wealth of clairvoyant readings on everything from health and spirituality to psychology and past lives. 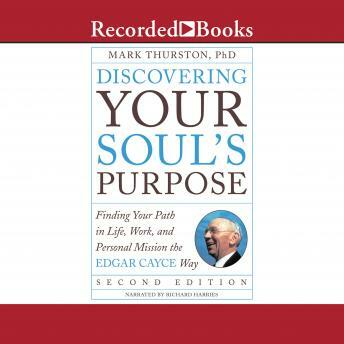 Now the most significant teacher of Cayce's teachings, Mark Thurston, updates and revises his classic book, Discovering Your Soul's Purpose, to help you use the Cayce teachings in the twenty-first century to find greater purpose in your relationships, career, and overall mission in life.